Asbestos exposure in the workplace can cause serious and long-term illnesses. An individual may develop mesothelioma, lung cancer, and other life-threatening conditions years after exposure. The workers’ compensation attorneys at Pulgini & Norton advise and represent Boston residents who develop job-related illnesses and their families. If you were exposed to asbestos at work, we can help you seek benefits for any ensuing health condition. 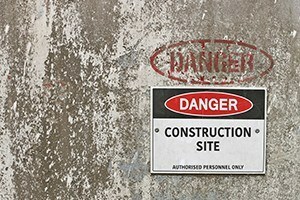 Workers may become ill if they are exposed to asbestos on the job. Asbestos is a durable and heat-resistant mineral that has been used in a number of domestic, industrial, and commercial products, including paint, floor tiles, and cement. Although it was commonly used before the 1970s, asbestos use declined after it was found to pose a threat to human health and safety. Asbestos fibers are microscopic, which makes them easy to inhale. The fibers cling to the lining of the lungs and inner cavity. They are difficult for the body to break down and can become lodged in the respiratory system. Mesothelioma, which is a rare and aggressive type of cancer that originates in the lining of the lungs, abdominal cavity, or heart. Lung cancer, which originates in the lung itself, as opposed to the lining of the lungs. Asbestosis, which is a degenerative, progressive respiratory condition that may develop into mesothelioma. Workplace exposure to asbestos is regulated by the state’s Department of Labor Standards Asbestos Program. It works with employers, unions, and other agencies, such as OSHA, to create safer work conditions for workers. However, despite the decline in asbestos use and government regulation, a worker may still suffer the adverse effects of exposure to the mineral. You may have a claim for workers’ compensation benefits if asbestos exposure at your job caused your illness. Massachusetts employers have to provide workers’ compensation insurance coverage to their employees. The insurance coverage gives benefits to workers with a qualifying work-related disability. These benefits include wage compensation and medical care. To qualify for workers’ compensation benefits, your illness must have a causal connection to your job. In other words, you have to demonstrate that the exposure to asbestos at your job is what caused your mesothelioma, lung cancer, or other asbestos-related illness. Your employer’s insurer will determine whether the medical care proposed by your provider is reasonable and necessary based on your condition, and if the illness is related to your work. If it determines that workplace asbestos exposure did cause your illness, you would be entitled to medical benefits and wage compensation based on whether the illness classifies as a permanent total disability, temporary total disability, or partial disability. If the insurer denies your claim, you can appeal the decision by filing a claim with the Department of Industrial Accidents. You may be able to receive certain benefits if your spouse or parent died as a result of workplace exposure to asbestos. A surviving spouse can receive up to two-thirds of a deceased worker’s average weekly wage until he or she remarries or is no longer considered dependent by a judge. An insurer must also pay up to $4,000 in burial costs to the family. Illnesses linked to asbestos exposure may take years to develop. You can seek workers’ compensation benefits even if you did not immediately discover a connection between your illness and your work. You must file a claim for workers’ compensation benefits within four years from when you first became aware of the causal link between your illness and your job. Pulgini & Norton offers experienced representation to Boston workers and their families. Our work injury lawyers understand the challenges you and your family face if you become ill or hurt as a result of your job. If asbestos exposure at work caused your condition, we can help you seek workers’ compensation benefits. We represent individuals in Weymouth, Malden, Lowell, and throughout Massachusetts. Call us today at 781-843-2200 or contact us online for a consultation.